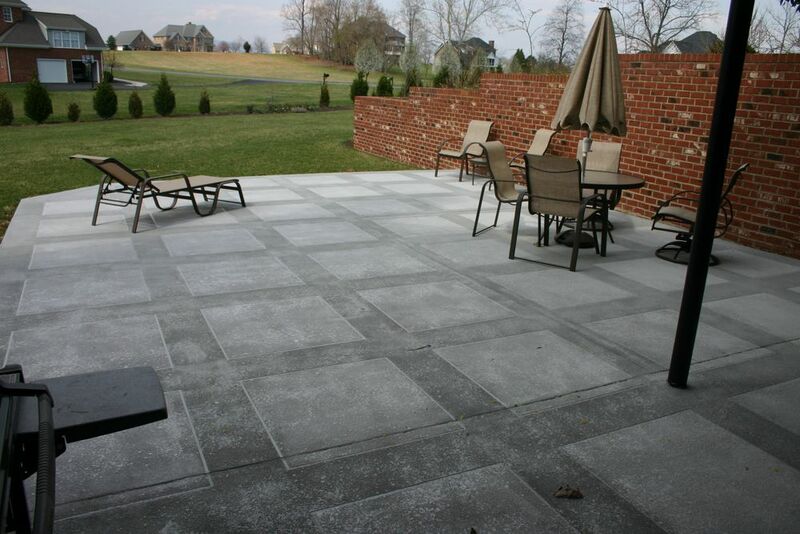 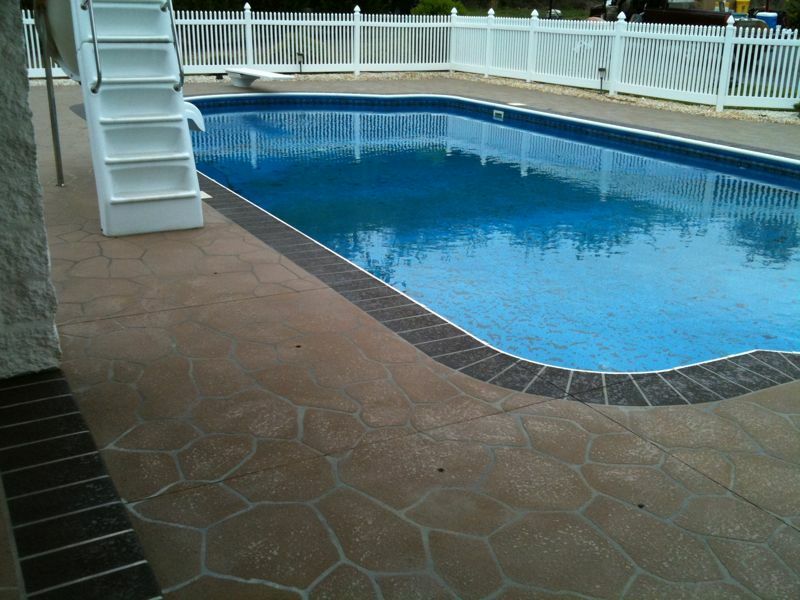 Spray-deck and Texture-crete: a sprayed concrete overlay virginia or concrete restoration system. 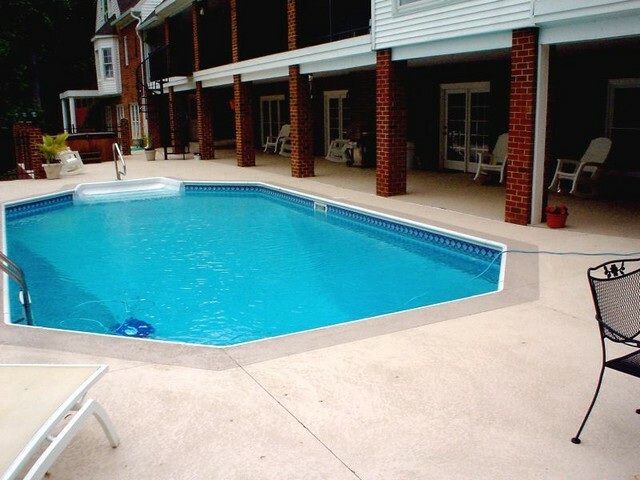 The Ultimate Cover Up for plain, old or unsightly concrete, SPRAY-DECK and TEXTURE-CRETE are decorative sprayed concrete overlay systems designed to transform ordinary concrete into bold and exciting textured surfaces. 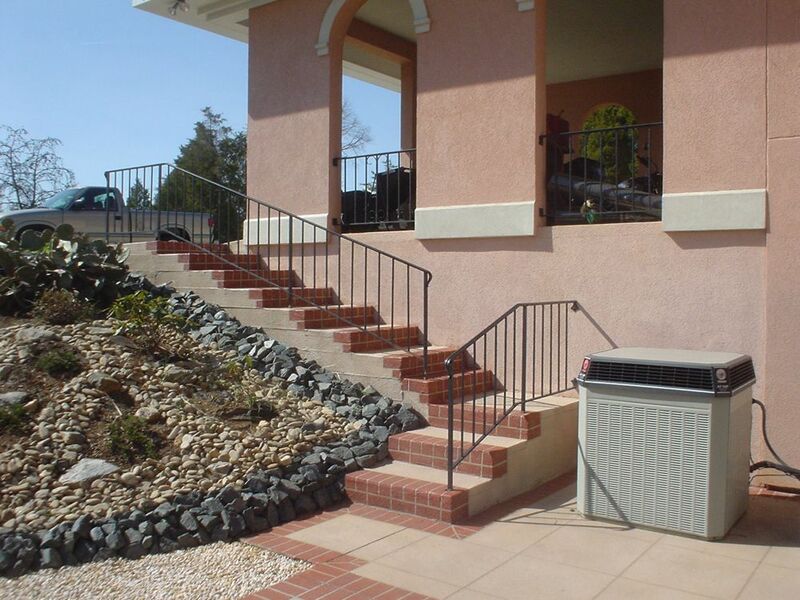 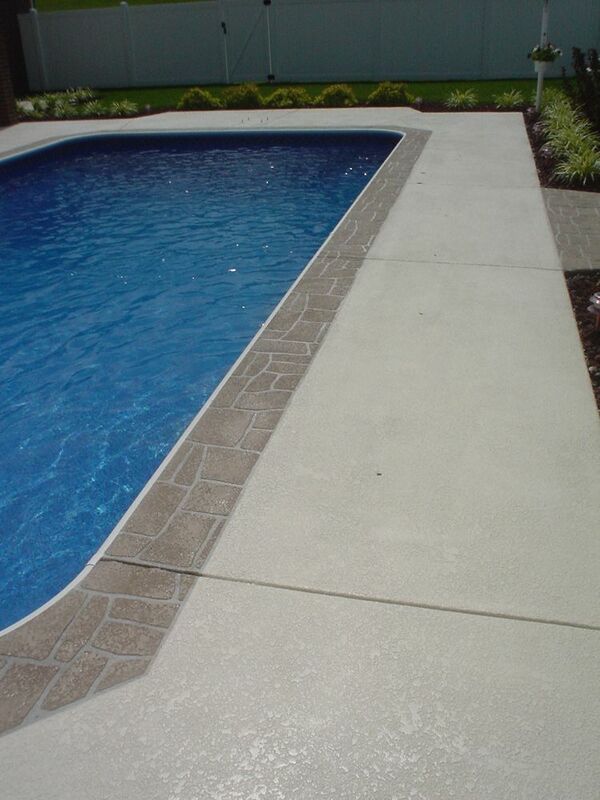 Spray-deck : A sprayed concrete system that is sealed with a solid colored sealer. 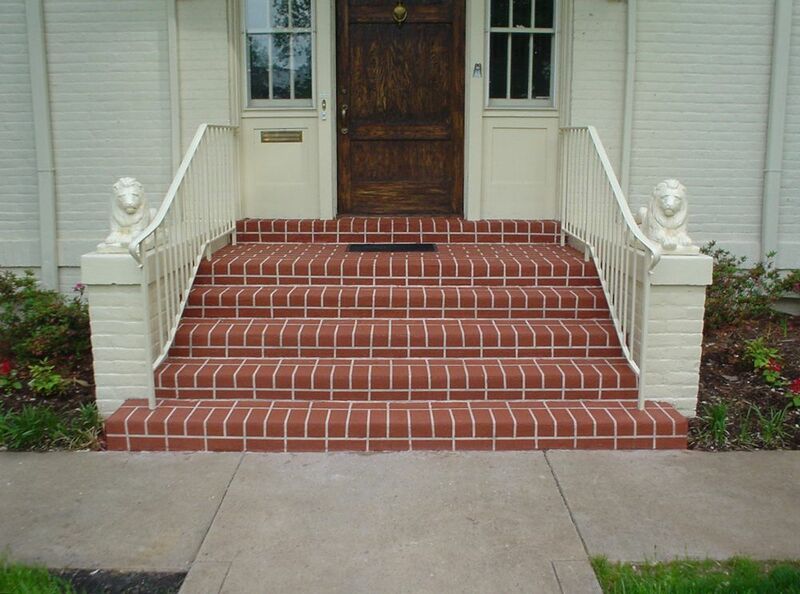 Typically has a simple pattern or no pattern at all. 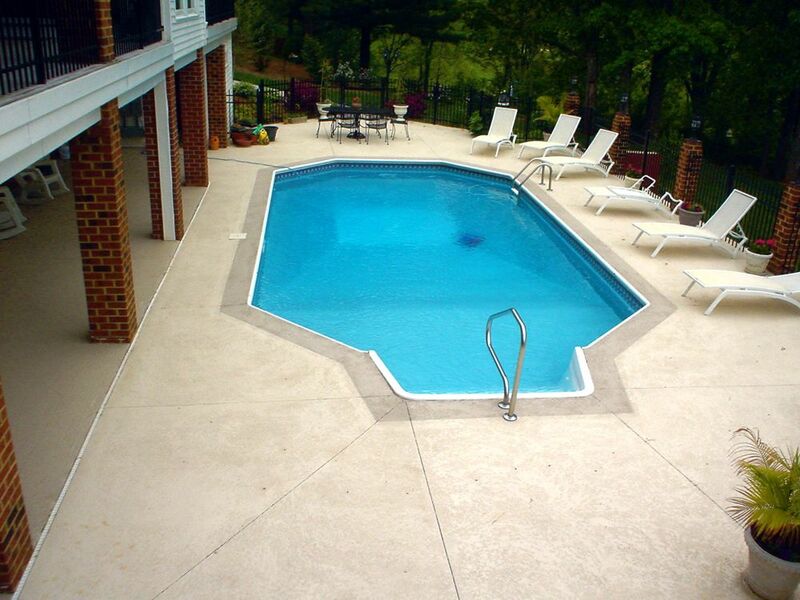 Stays cooler to the touch than other concrete products. 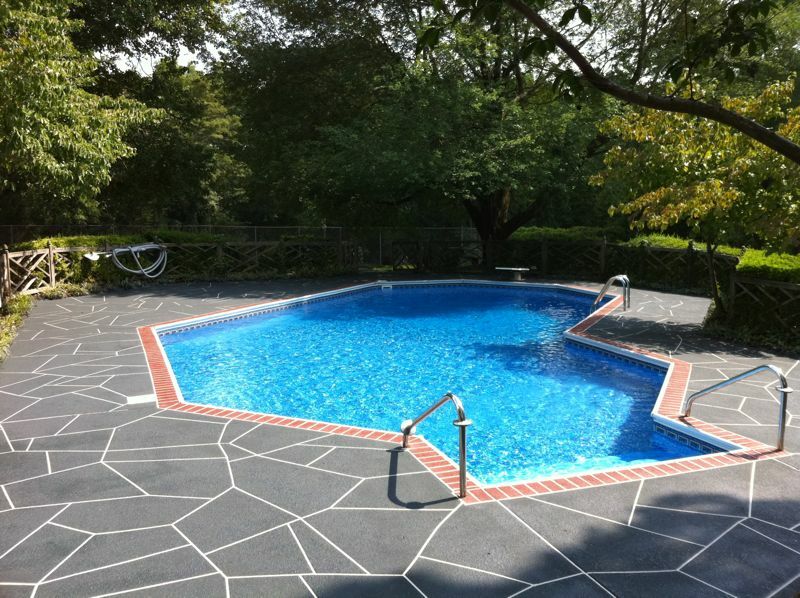 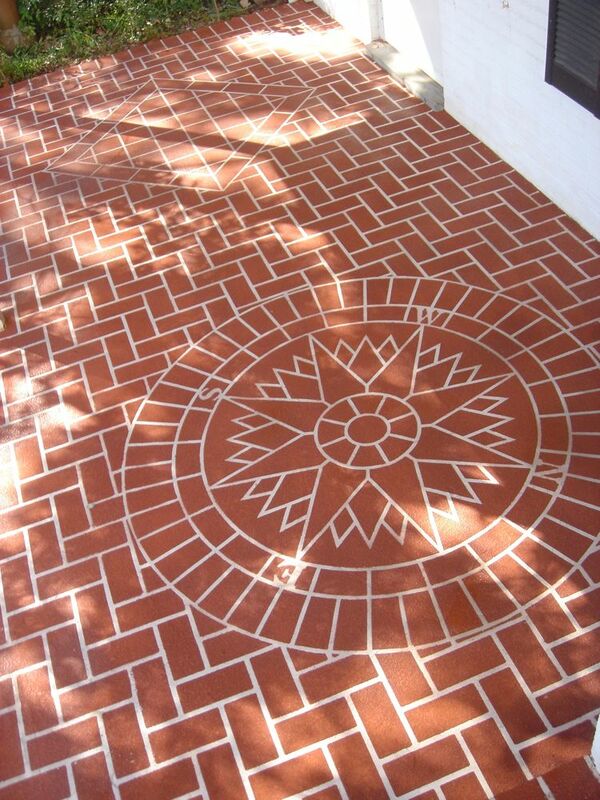 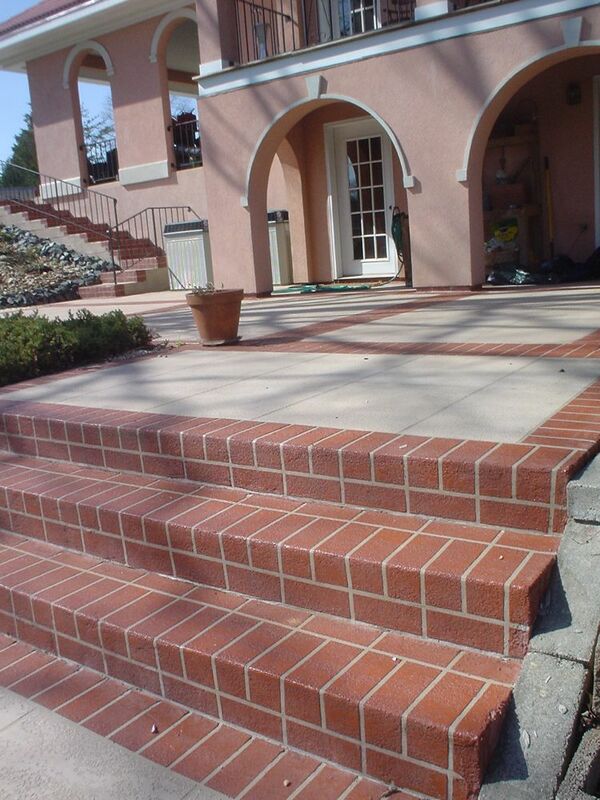 Commonly used around pools, patios, sidewalks and porches when a complicated pattern would not be appropriate. 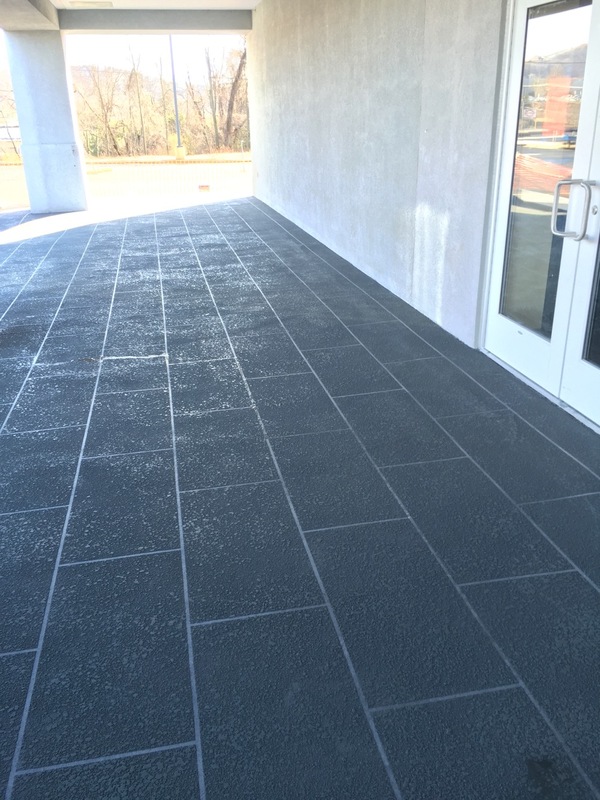 Texture-crete: A sprayed concrete system that has a pattern like brick, slate or stone. 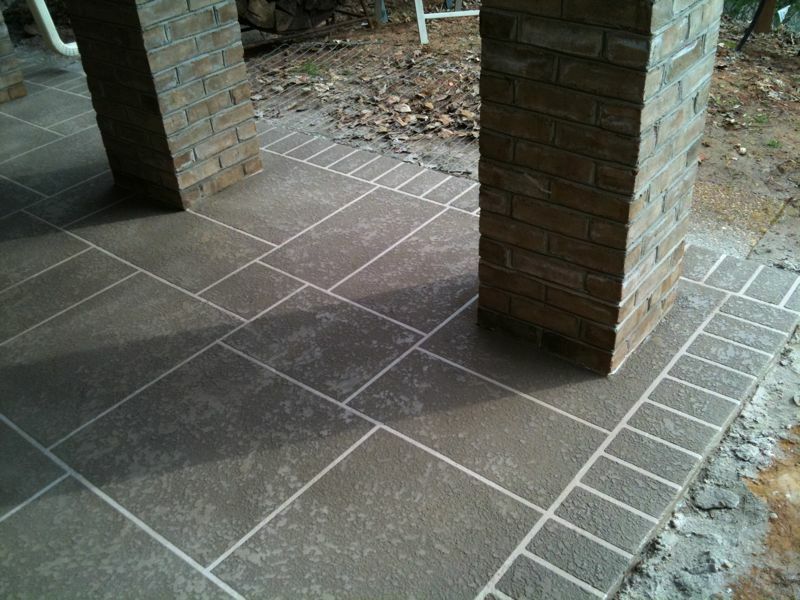 The sprayed grout is integrally colored to give a two-toned effect (ex: red brick with gray grout lines). 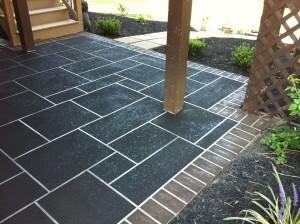 Texture-crete is sealed with a clear sealer. Commonly used on any exterior concrete. 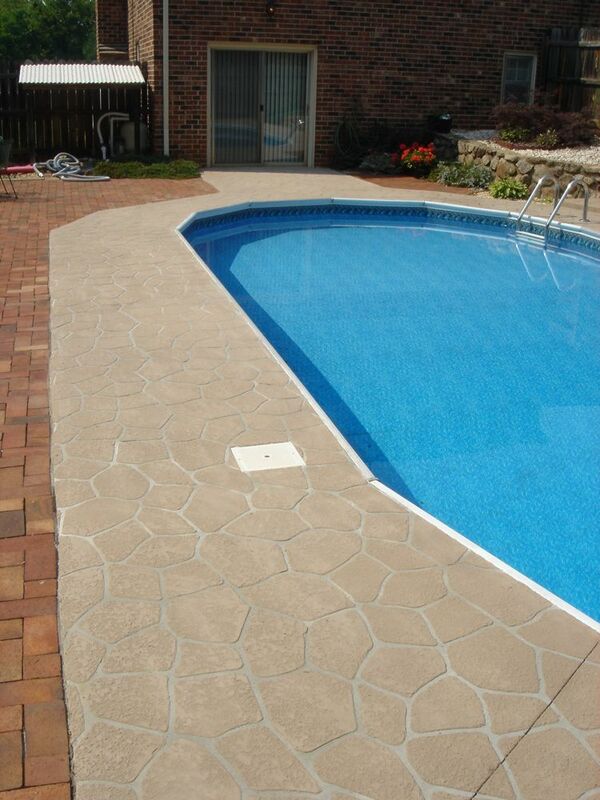 SPRAY-DECK and TEXTURE-CRETE’s textured surface, while beautiful, creates a safety first non-skid surface ideal for pool decks, patios, and walkways or wherever a non-skid surface is desired.